A few weeks ago, I wrote about Fr. Christian Mondor, ofm, a man who played an important role in my spiritual development. I was happy to share my private reflections on my blog, but yesterday I had the privilege of speaking publicly about Fr. Christian’s life and legacy at a paddle out held at the Huntington Beach pier. As soon as Tim and I heard of Fr. Christian’s passing, we immediately texted Terry, a mutual friend. Though he’s not in the surf industry, he is the epitome of a “surf turkey,” always up-to-date on wave and water conditions and happy to talk shop. We knew there would be a paddle out to honor Christian’s life and we wanted to participate, but we didn’t expect Terry to ask me to speak. (In Catholic circles, women aren’t often given the microphone at “priestly” functions.) However, Terry knows my love of the ocean and my passion for Franciscan spirituality. I guess as a Huntington Beach native, former lifeguard, surf shop owner, student of Franciscan theology and friend of Fr. Christian’s, it just made sense. It was a pleasure and honor to share my thoughts with a gathered community of like-minded people and I wanted to share them with all of you. Tim was able to capture it on video, but you can also read the transcript below. Terry Thein asked me to say a few words today, not just because I was lucky enough to be raised here in Huntington Beach, where I come from a family of lifeguards – two of us here at city and two at state, but more importantly because I was raised at Sts. Simon and Jude by the Franciscans, including Fr. Christian who was one of those sandal-wearing, brown-robed padres of the Catholic church. Everyone knew and loved Fr. Christian, but not everyone knows that much about the theology and spirituality that animated his soul and directed his life. Professionally and personally, Fr. Christian followed the teachings and example of St. Francis of Assisi, a 12thcentury Italian saint. St. Francis lived a 1,000 years ago in medieval Europe, in a time not unlike our own, a time plagued by war and violence and economic and cultural upheaval. But instead of getting swept up in the fear or anxiety, or engage in the violence like so many other young men were doing, St. Francis’ mystical experience of God and Jesus allowed him to take a step back from what everyone was doing and double down on living in Radical Simplicity and Loving Community with all of the created world – human, animal and natural. And I know Fr. Christian tried to live his life that way as well. Fr. Christian lived simply, unimpressed by titles and success – his own or others – and unattached to objects, except for maybe his banjo and longboard. And he lived In Radical Community – loving his own family, his Franciscan brothers, his church members, his banjo players, his fellow surfers, his swimming friends, his Jewish, Muslim, and Protestant sisters and brothers and he loved this place, Huntington Beach, and everyone he met here. Fr Christian’s love of the ocean wasn’t separate from his Christian faith; it was an integral part of it. In the Franciscan tradition, the physical presence of the Divine is everywhere in this world. We call it the “First Incarnation.” God first showed up in the world as the world. We live in a sacred universe. We just have to wake up and see it. And Fr Christian saw it! 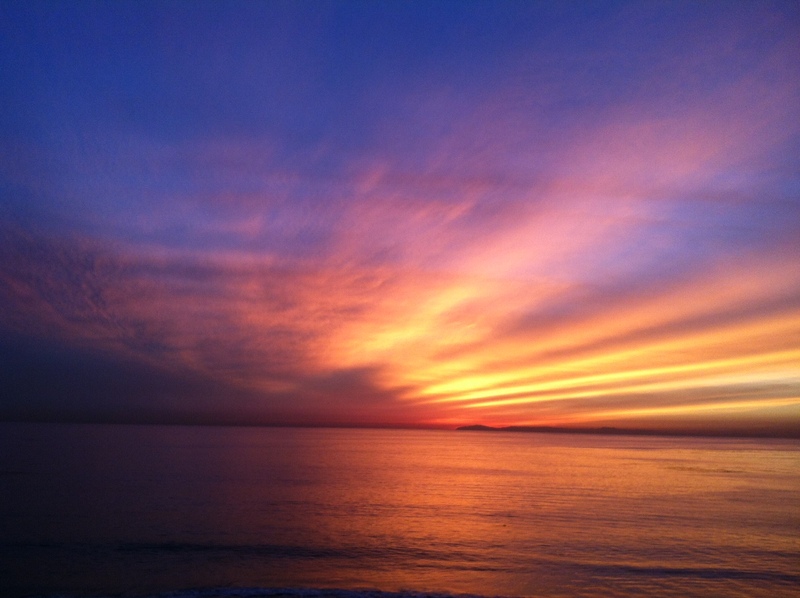 He saw it in the waves and the water, in dolphins leaping, and whales breaching. Those are the easy places, where most of us see it too. But St. Francis and Fr. Christian kept going, until they saw the face of God, not just in every friend, but in the face of their enemies as well, until there were no enemies. Perhaps most importantly, Fr. Christian lived by the words St. Francis reportedly said to his followers: “Preach always! And if necessary, use words.” Fr. Christian rarely used words, except in church on Sundays, which was part of his job description. But he couldn’t help but preach! His life was a living sermon. He could not hide the love he felt for this fiercely beautiful world, or disguise what a blessing he thought it was to be in it. He was rarely without a smile on his face. Like the water he so loved, Fr. Christian’s goodness poured out of him and along with it came joy, peace, compassion, mercy, hope, intelligence, gentleness, and finally attentiveness. Fr. Christian was fully present to the Presence of the Divine in each and every person he met, every note of music he played, and every wave he surfed. Another Franciscan author and teacher, Richard Rohr, said it this way. He said, “saved” people always feel beloved, chosen, and favored by God. And by all accounts, Fr. Christian was “saved” in the Christian sense of the word, but the beauty of Fr. Christian was that he “saved” so many of us, not by prayer, but by his presence in our lives. When he looked at us, we too were beloved, chosen, favored and hopefully, empowered to live and to love others as he did, as St. Francis did, as Jesus did. Surfing was Fr. Christian’s hobby. Loving was his way of life. May we be inspired to go and do likewise. Honoring Fr. Christian’s memory in the water with his fellow surfers. It meant the world to me to share the morning with Finn who currently lives, works and surfs in Huntington Beach. At 19, I moved to San Diego to start my adult life and at 19, he moved back to my hometown to start his own. Okay, admittedly, it might take me a little longer than this Advent season to live into this call, but as I wrapped up Ilia Delio’s brilliant Making All Things New: Catholicty, Cosmology, Consicousness this past week, I knew I had found my marching orders for 2017 and beyond. In the face of so much division and adversity in our nation, it can feel overwhelming to figure out, “What is mine to do?” the question I asked last month. But that’s what I love about Delio’s list. Anything that takes you out of your comfort zone and adds Love, life, energy, goodness and wholeness (understood as healing and holiness) to the world is yours to do! The only thing we can’t do is shrug our shoulders and go on with business as usual. Delio’s exhortation reminds me of Joan Chittister’s response to people who ask her what they should do to make the world a better place. “Do something!” she pleads. It’s as simple and as difficult as that. We are the something better we’ve been waiting for. Merry Christmas! Happy Hanukah! Joyous Kwanzaa to you, my dear friends! And if none of those apply, Happy Holidays! I wish you an abundance of whatever it is that warms your heart, tickles your fancy, fills you with gratitude, and encourages you to start anew. On your mark, get set, GO!!!! For me, the 2013 holiday season has begun like an event in the Olympic Games of Stress, hosted by my least favorite city, Crazytown USA. Perhaps it was the late Thanksgiving date and over-hyped Black Friday, or the 800-mile car trip we took over the last four days to visit family in Northern California . Perhaps it’s the week ahead and the ten papers I have to grade, the three soccer games for one kid, the four days of practice for another, the two days of auditions for the third, or the one out of town 40th birthday party coming up on Friday night. Perhaps it’s my mounting anxiety about the presents I haven’t bought, the Christmas card we haven’t created and the last time Tim and I had a date night and any intimate conversation. I know it can be helpful to make a list of things you have to do, but just writing those sentences sent my heart racing, and not in a good way (except that last item). Because I was feeling behind, I broke my general rule about shopping on Sundays, and went out early to check a couple things off my list. I came home and decided to do anything humanly possible to avoid shopping on future weekends in December. No matter what I can accomplish, or purchase, it can’t be worth what the experience brings out in me. While I didn’t actually spray mace, elbow people out of the way, or come to blows over a parking space, the truth is I wanted to and that scares me. I’m taking it as a sign that I’m not quite on track to really mean it when I wish friends and strangers a “Merry Christmas,” or “Happy Holidays” and I figure I can’t be the only one. Though much of my Catholic guilt has fallen by the wayside, there is one tradition I cherish and I think it might help me out here. It is called the season of Advent and it begins today and lasts for the next three Sundays before Christmas. While Christmas is a time of celebrating, Advent is a time of preparing. Here is a short video explaining the Advent season. It’s only two minutes long. When I watched it this morning upon my return from Crazytown, I found myself breathing easier. I remembered that I don’t have to be joyful yet. I’m preparing to be joyful. I don’t have to be ready. I am getting ready. I don’t have to be done. December is just beginning. There is time, even when I’m feeling rushed. There is space, even when my heart is cramped. 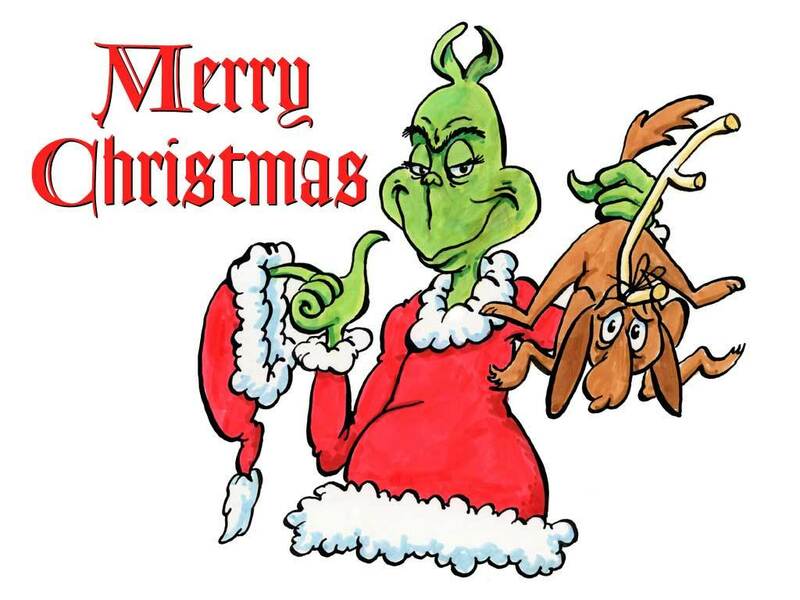 There is love, even when I am doing my best hard-hearted, Grinch impersonation. The only way to prepare for Christmas is to make the time and space for Love to appear and I already know how to do that. It’s what I’ve been working on the last couple years on a daily basis. When Love feels far away, I go for a walk in the early morning. I make the time to sit in silence, or read a good book. I write in my journal, hug my children and hold Tim’s hand. I listen to beautiful music, have a cup of tea, or enjoy a glass of wine with a friend (as opposed to tossing one back out of necessity). I think that is how I will try to prepare for Christmas this year. I will try to anticipate what is ahead of me, without letting it rob me of the moment I am in right now. I’ll keep you posted on how I do. Like most of the world last spring, I watched in fascination as Jorge Mario Bergoglio was elected Pope. The first day, I was non-plussed. Another old, white guy? Big surprise. The second day, I began to take notice: he was a Jesuit and he chose the name Francis, the first Pope ever to do so. The third day, I got a little discouraged as Catholic pundits and news organizations across the nation scrambled to prop up his conservative credentials and hard line stances. But as the week unfolded, I heard the stories of how he paid his own bills, carried his own bags and rode in a modest sedan across town and my heart melted a little bit. Then came his ordination and in one simple gesture, stopping to cradle a disabled man in his arms, he captured my imagination. I was willing to entertain the possibility that he just might be a different kind of Pope. Reading the full interview from America Magazine confirmed it. Yesterday, my Facebook feed was abuzz with quotes, excerpts and articles about the interview, but it wasn’t until this morning when I read it for myself that I understood the import of what he had to say. I know journalists and news organizations need the juicy bits, and so focused on his words about homosexuality, abortion, divorce and birth control. Those issues concern me too, but I wanted to know the context. Did he really mean it that way? Did he follow up his compassionate comments with an even stronger emphasis on obedience to the Church, its hierarchy and doctrine? 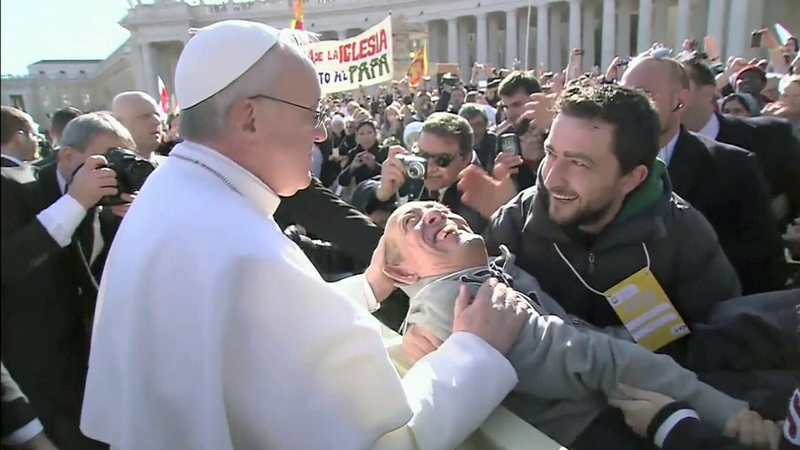 That is the bottom line, according to Pope Francis and when you are loved, you are forgiven and you are cherished. Your presence and company are desired. The Church is “not a small chapel that can hold only a small group of selected people,” rather “it is the home of all.” He takes it a step further, strengthening a connection, which has become frayed and worn in recent years. He seems to say to each of us, “You belong to God and as such, you belong to God’s Church. As Christ’s servants on earth, you are our beloved and we must do a better job of treating you as such.” He calls on the members of the church, particularly the clergy, to focus on the “proclamation of the saving love of God” before all else. 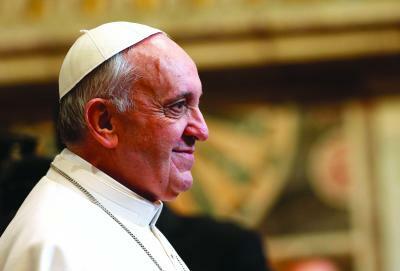 “This article almost brought me to tears…I LOVE OUR POPE. This pope can help this church heal wounds with love. He will open the doors to the church to people who have felt excluded. He will inspire the members to LOVE. I believe he is exactly what the church needs at this time. I’m excited to be led by a guy who ‘gets it.’ The teachings of Christ were about loving one another not about following all the rules. He knows compassion and mercy must come before discipline and correction. He wants to see church ministers behave “like the good Samaritan, who washes, cleans and raises up his neighbor,” instead of simply saying, “Get up and walk” – on the straight and narrow path. As another theologian I know puts it, “Love wins” and Pope Francis may just have won my heart, by being so open, vulnerable, and humble, unafraid of mystery and content to go where God leads him. I like that in a guy. He may not be the man of my dreams, but he’s allowed me to dream of a new direction and a new future for the Church. If you haven’t read the full interview, it is well worth the time and can be found here. On the brink of a new day. This blog is a departure from my usual storytelling and I hope you’ll bear with me. One of the websites I check in with frequently is Sojourners online magazine. They have a published a series of articles on the rise of “The Nones,” those Americans who don’t identify with any religion, or who would say that they are “spiritual, but not religious.” It has caught my interest and although I try not to get sucked down Internet rabbit holes, I have to admit this one’s got my number. I think it’s because I identify with both groups in some real ways. Like many people I know, I stand in the gap. As a Catholic Christian, I’ve watched countless friends and neighbors walk out of the church. Some linger at the door on their way out with a wistful look, wishing things could be different. Others hit the ground running and never look back. I understand both exit strategies and have been tempted to join them, but I haven’t, not yet. I am spiritual, but also still religious, albeit reluctantly so at times. As much as I appreciate the conversations that are going on, we “religious” aren’t going to change anyone’s minds by talking about it, by beating our breasts, or wringing our hands. The “nones” aren’t going to walk back into church, because someone tells them they should, or because it would be good for them. Shoulds are rarely effective with adults and if churches were actually good for them, in some tangible way, the “nones” would still be there in the first place. I think the only way for churches to reverse the exodus of the “nones” is by becoming different churches. 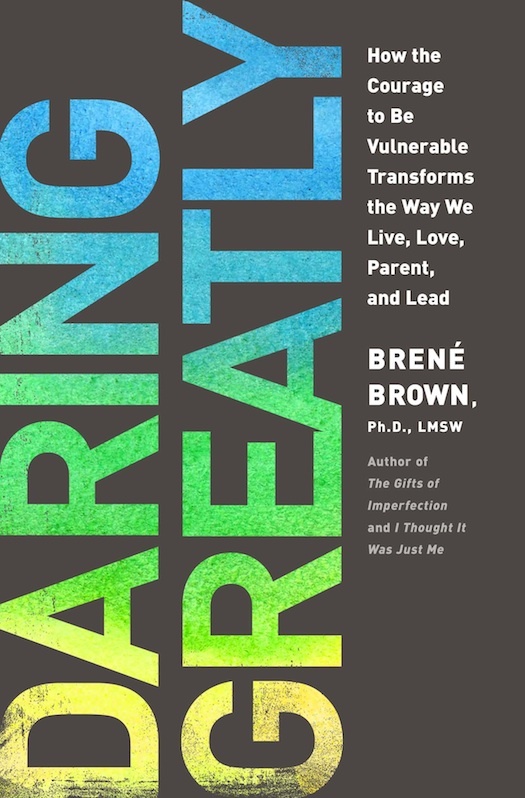 In the New York Times best-selling book Daring Greatly, Brene Brown identifies a phenomenon she calls “the disengagement divide,” or values gap. It is the space between our “aspirational values,” those we claim to live by and our “practiced values,” the way we actually live. It’s the gap between what we practice and what we preach. The gap is inevitable, on both a personal and ecclesial level. But while the first one is manageable, the second is unwieldy to say the least. On a personal level, we can take responsibility for the gap. We know that perfection isn’t possible, that we fall short each and every day. But if we are healthy and self-aware, we seek forgiveness and make amends. We get up and try again. Though it is a Sisyphean task, a majority of us strive to make the breach as small as possible. Historically, institutional churches have not made that same effort. I think it is the “disengagement divide” that the “nones” are fleeing more than anything. A few “nones” might have left the church because of bad music, or a lack of parking spots. A few more might have left because it wasn’t convenient, either to their psyche or their schedule. But I imagine that most “nones,” especially those who identify as spiritual, but not religious are leaving because “the disengagement divide” has become a chasm. We call ourselves Christians. Right there in our name, we claim whom we follow, Jesus the Christ. That gives us a certain set of “aspirational values” to live up to. It doesn’t mean we need to be perfect, but it does mean we mean have a lot to strive for. Above all, we have to love God and we have to love our neighbor as we have been loved by Christ himself. Institutionally, we have not done that very well and we have not apologized very often, or taken the necessary steps to correct it either. Instead, churches have created another sub-group: the “RBNS”s, who are “religious, but not spiritual.” Despite its best efforts, or perhaps because of them, religion has a way of becoming legalistic, of creating in and out groups, and when you are on the inside, it’s awfully tempting to let go of the struggle that true spirituality requires. Belonging to a religion can make it too easy to follow a list of rules and regulations and claim the perks that come with membership. Spirituality on the other hand is a relationship, an encounter with the Divine that calls us to transcend this material world and the hold it has on us. It asks us to go deeper. It is through spirituality that we struggle with despair and hope, love and fear, doubt and certainty. Journeying with the Holy Spirit in this way allows us to transform ourselves, our relationships and hopefully the world around us, in a way that mere religion can’t. Ideally, churches are there to hold us while we engage in this life-long process, but when filled with members (or leaders) who are “RBNS,” our struggle is looked upon as a failure on our part. We are told we just need to “get saved,” or “confess our sins,” or simply trust that they’ve got it all worked out for us from a place of authority. If we would just fall in line, everything would be okay and if we can’t, because we are gay, or divorced, or want to talk about women’s ordination, or whatever is taboo in our religion, that’s when we head for the door. I haven’t done so, not yet and it saddens me that so many of my peers and the younger generation have done so. I understand it. I am not surprised by it, but I think we will all be sorrier for it. Our churches get more rigid without the leavening yeast of youthful creativity, passion and resources. The “nones,” and the SBNRs relinquish the hard-won wisdom of their religious ancestors, forcing themselves to reinvent the spiritual immunizations that will keep their children mentally, emotionally and spiritually healthy in this difficult world. I think it comes down to community, another word that gets tossed around a lot in these conversations. Churches are crying out, “You need us! You don’t think you do, but you really do!” The “nones” are shouting back, “I’ve got my own community, thank you very much and it’s way less hypocritical than yours!” There is truth in both of those statements. We were made for connection and belonging. We need community to hold us together, to remind us of whom we are and what we are about, to lift us up when we falter and praise us when we succeed. Church communities can do that better than any other when the gap between their “practiced values” and “aspirational values” is small. When Agape is the operative word in theory and in practice, we see Church and Community at their finest. But when the gap is large, it can be the loneliest feeling in the world to be in free-fall, knowing that the people who were supposed to love you in God’s name are nowhere to be found and are perhaps even the ones who gave you a shove off the ledge. I know there are churches out there that do it differently. I have read hundreds of comments from men and women who want the “nones” to know that their church isn’t like that, that they love with their whole hearts and work earnestly to welcome and include everyone: rich and poor, black and white, gay and straight, sure and not-so-sure. I’ve listened to sermons from their pastors, been witness to their diversity and cheered for the life-giving work they’ve done. I like to think my church falls into that category as well. But it doesn’t change the fact that if we have the word “Baptist” or “Catholic” or even the word “Christian” in our name, we are going to have an uphill row to hoe. Despite our protestations, we are associated with leaders who have not walked the talk and institutions that have allowed the “disengagement divide” to flourish for too long. Though I’ve been on the ledge and even felt a nudge or two in the back, I’m not letting my “church” get rid of me that easily. I’ve benefitted too much from my religious background, education and traditions to let it go. My community is the church and the church is the people of God. I have far more faith, hope and trust in them as individuals and as a group than I do in an institution, whose leadership is charged with protecting tradition and the status quo. Through his work as a community organizer, President Obama observed in Dreams from My Father that “communities are not a given in this country… Communities need to be created, fought for, tended like gardens. They expand or contract with the dreams of men” (and women I have to add). I have big dreams for my community, the people of God, but I am pretty sure God’s dreams for us are even bigger. We have a garden before us, a plot of land to tend. I don’t want to fight against SBNRs, people who aspire to something beyond themselves. I want to fight with them to uphold the values that transcend our differences in religion, culture and language, values like Love, grace, beauty, compassion, mercy, justice and equality. I know that wherever those things are found, God is. I am happy to tell you that Sojourners decided to use this blog as part of their Meet the Nones series. You can check it out here, and read other perspectives as well. Is There a Saint Ali? Dedication: To all the living saints I know, and to the rest of us who try. Growing up in a fairly traditional Roman Catholic home, I had access to the stories of the saints. I could even tell you a few of those stories to this day, but I was never obsessed with them like some kids were. Saints were interesting, but never all that inspiring. Even as a young child, I knew that I was far too human, and far too flawed to ever be like one of those women, or men. I couldn’t see myself kissing the wounds of a leper, or praying to receive the stigmata. Yuck! I certainly couldn’t see myself opting for a violent death if given a choice. Even as I got older and Pope John Paul II began the beatification of “everyday” people who lived holy lives, I still wasn’t that interested in who made the cut and who didn’t. It wasn’t until much later in life that I came across a definition of a saint that I could relate to. According to Soren Kierkegaard, the Danish philosopher, author and theologian, a saint is a person “who can will the one thing.” This actually felt like something I could aspire to, a version of sainthood that had nothing to do with personal morality, righteousness, or miracles. In my mind, it had everything to do with finding the purpose for which you were made, embracing that purpose and living it out as best you could. By the time I discovered Kierkegaard, I had already found my “one thing.” For ten solid years, I “willed the one thing.” I willed the heck out of it. If being a saint is “to will the one thing,” then five years ago, I thought canonization was mine for the taking, if I could just die tomorrow. Well, obviously, that didn’t happen and thank goodness. I’d rather be a saint, who lost her title in heaven, than leave my purpose here on earth unfinished. I am still alive and well, but something unforeseen happened. I lost my opportunity “to will the one thing.” No, nothing tragic happened. I haven’t lost my kids, or my husband, or even my purpose. But what I have lost is the oneness of it all. As I have approached middle age, as the economy has stalled, as my children have gotten older, I have been asked to will not ‘one thing,’ but many things. Now, some of you may scoff at that and I will allow you to do so without defensiveness or judgment. I know that it was a privilege to be home with my kids and to have such a single focus for so long. But my new reality is that my life is asking me to will many things, in addition to the “one thing” I really love. I am not just talking about having more obligations on my plate, though that is a part of it. I am talking about tasks that require real passion and effort, focus and sacrifice on my part and the part of my family. And I have to admit that at first, it felt like a betrayal of my “saintly” calling to extend my will beyond the one thing. I have spent many nights asking the same questions about myself that I’ve asked countless times about my children. “Who is this person? Who does she want to be, and how I can I help her get there?” While I don’t have any precise answers to those questions yet, reading The Gift of the Red Bird by Paula D’Arcy introduced me to a new definition of a saint, one I liked even better than Kierkegaard. D’Arcy quotes Keith Miller who said that saints “were not people with the greatest education or even the largest results. But what they said correlated almost 100 percent with who they were and what they did… An amazing and invisible power may be released when a person’s words and her inner life match.” I read that line and it stopped me in my tracks. That’s a saint I would like to know, someone unconcerned with personal perfection and holiness, not limited by an adherence to “the one thing,” but fully, genuinely, authentically themselves. Do you know those kinds of people, the ones who say they believe in something and then actually try to carry it out in all aspects of their daily life? The kinds of people who make you believe that if they’re nice to your face, they’re also going to be nice to you behind your back? The kinds of people whose very presence makes it easier for you to be a better person? When I think of the people I have most admired in my lifetime, they were saints in Miller’s sense of the word, and only a handful of them were religious. They are people of integrity and authenticity. They are people who nurture, who love and who open their hearts to seemingly everyone. These are people who give 100% of themselves to whatever they are doing at any time. This is the kind of saint I would like to be, but it’s a very tall order, even greater than the other two, I think. By historical precedent, the first “requires” you to follow a set of rules, strictly, almost fanatically. The second seems to be manageable if you really focus on the ‘one thing’ to the exclusion of everything else, and as much as I enjoyed that time of life, I know the purpose I chose was too limiting. God wasn’t going to let me off that easy; taking care of 4 people (even if you do it well) is not all that He asks of anyone. This third definition though cannot take place without a complete transformation of self over the course of a lifetime. In this definition of saintliness, there is no perfection expected, or even possible. We all make mistakes, slip up, and growl like a junkyard dog on occasion. We all roll our eyes in annoyance, or get stuck in the morass of self-pity when things seem to stack up against us. We are human, but we can be saintly humans. I want to be a person of integrity. I want people to be able to believe in me and the promises I make. When I smile at you, I want you to know that I am smiling for real, on the inside. When I work for you, write for you, speak with you, I want you to have the real me and hear the real me, because that is best I have to offer. 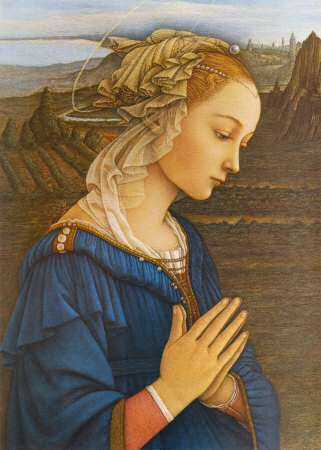 I want to be a saintly blogger, a saintly mother, a saintly wife, friend and volunteer. I want desperately to be this kind of saint, but when I see all the ways I fall short, it’s easy to get discouraged. However, there is hope. Just last week, I heard another definition of a saint. It doesn’t detract from the other three, but rather increases the odds of getting there. My good friend Nancy Corran said, “A saint is just a sinner who got back up.” Well, amen to that. That is one kind of saint I know I can be. And I hope you know one and know that you can be one too.